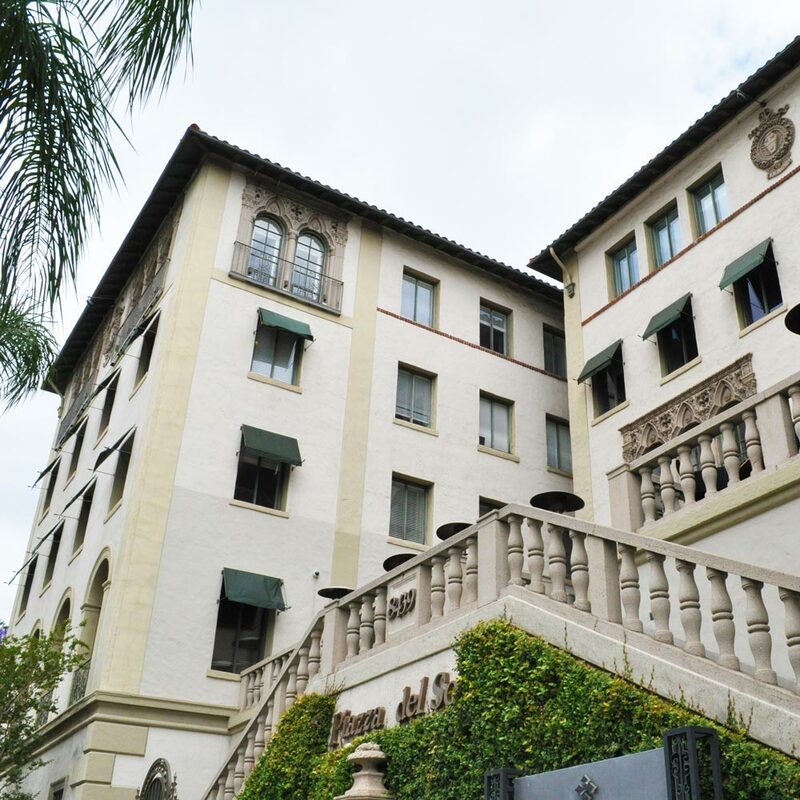 The former apartment building located at 8439 Sunset Boulevard (Piazza del Sol) is constructed in the Italian Renaissance Revival style. The building is constructed as a five level, U-shaped building currently used as an office building (four levels of office over parking). The surface material is stucco and the building is capped by a low hipped red clay tile roof with widely overhanging eaves and decorative rafters. Constructed in 1927, the building was originally a residential apartment building, where several lesser known Hollywood personalities resided. The building was listed on the National Register of Historic Places in December 1983. An easement for facade of the Piazza del Sol was granted to the Los Angeles Conservancy in December 1983.